On June 30th, the progressive group Rights and Democracy (RAD-NH) is hosting a candidate forum in the First Congressional District with Nina Turner, president of Our Revolution. The question is: Will the nine N.H. congressional candidates show up…and should they? Nina Turner is a controversial figure in and out of the Democratic Party. An outspoken far-Left progressive, Turner is best known for abandoning the Hillary Clinton campaign for Bernie Sanders’ organization during the 2016 primary. Her opposition to Clinton was so vociferous, the DNC stripped her of a speaking slot at the Democratic National Convention, an act that inspired a high-profile protest by Hollywood liberals like Susan Sarandon and Danny Glover. Turner refused to support Clinton and eventually voted for Jill Stein in the 2016 contest. She has openly speculated that the Democratic Party may be so “corporate” that it is not longer useful. And now she’s coming to New Hampshire for an event as part of the Democratic Party’s primary process? This is music to Republican ears, who believe progressive candidates like Kara Eastman in Nebraska will make it easier for the GOP to hold seats in an anti-Republican/anti-Trump midterm election. 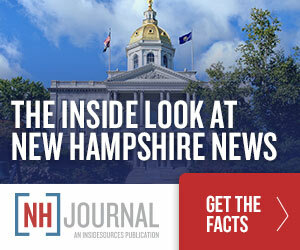 There is already speculation that rising GOP poll numbers can turn the NH-01 race into a toss-up. Many Republicans believe that having an “Our Revolution” Democrat as the party’s nominee can only help. So who will Turner and Our Revolution back in the First CD? Given that Turner is a hard-core Sanders supporter and her organization is a Sanders campaign creation, the seemingly likely choice is Sen. Sanders’ son Levi. However, given that there are candidates in the race to Levi Sanders’ left, that may not be a done deal. Asked if she’s interested in a White House run, Turner said she is supporting Sanders. “I hope he runs again; I am right with him,” she said. But what if he doesn’t? Turner took a long pause. “If he doesn’t, we’ll see what happens with other candidates,” she said. Do the Democrats vying for primary votes in the First CD really want to get pulled into a 2020 primary race? Is appearing with an anti-Hillary activist who refused to support their party’s nominee against Donald Trump a smart political move? Is 2018 a year when embracing the progressive passion of the Democratic base smart politics? Or will being the “Our Revolution” candidate on September 11th make it harder for Democrats to hold a swing district like NH-01 in November? The answer will be revealed in part by the number of candidates who choose to show up at the RAD-NH event on June 30th.